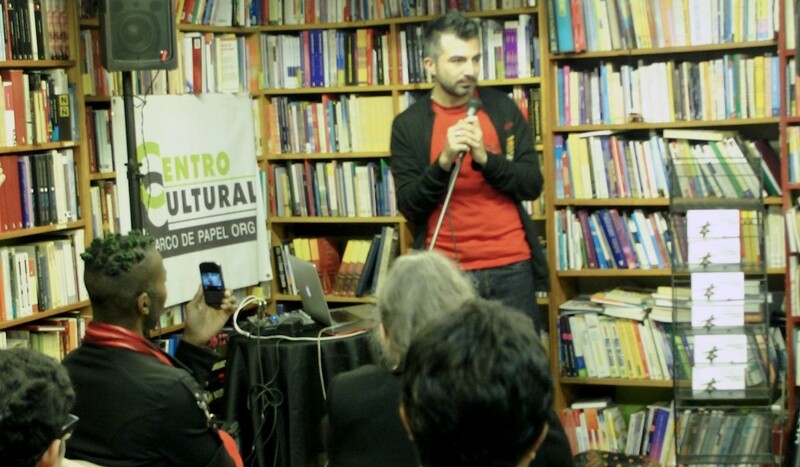 The cultural organization Colectivo Poetas en New York joined efforts with Barco de Papel to present on Friday, October 16 Chilean writer living in New York, Rodrigo Arenas Carter. 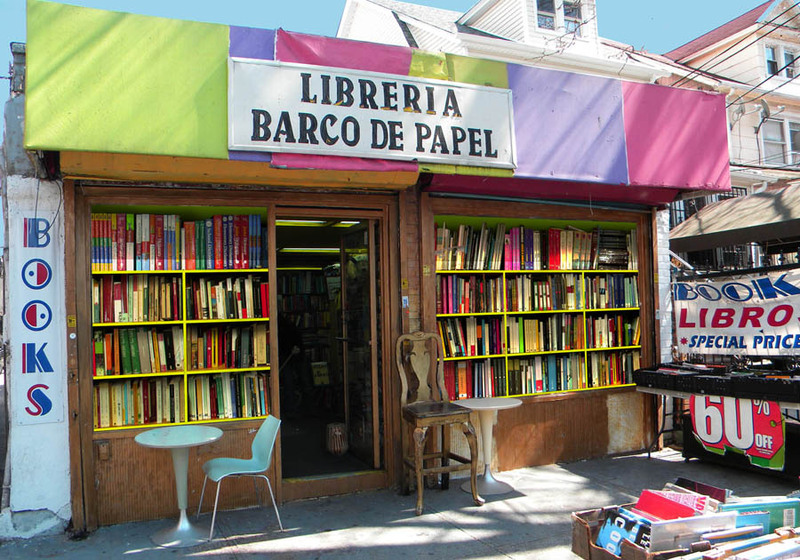 In this occasion he launched his novel “ONCE Pretérito imperfect de la infancia (ONCE. Past perfect of childhood),” the first novel of this writer. Carter, invited to his presentation the poet, composer and performer-disiplinario Vir-Amicus (left), who unveiled their work. . Photos in our Facebook page. “Fears and imagination of a teenage boy intersect with the military that plague the city after two planes fell. A city, a family and the life of a budding teenager upset and altered after this incident, generates a magic but nightmarish environment. The Chilean desert is ideal scenary for the first novel by Rodrigo Arenas Carter full of of unique and familiar characters in which a pre teen includes not only a country but a world on the brink of nuclear war, while he tries to learn to be an adulthood. Growing up in dictatorship. It could have been any of the eighties authoritarian regimes in Latin America”. Rodrigo Arenas Carter  M.A. in American and English Literature at UPLA, Valparaíso, Chile. He was editor of the e-zine indie.cl. 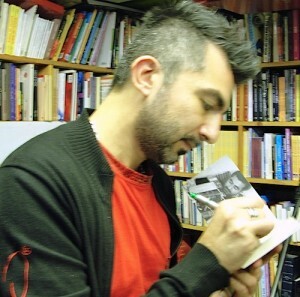 He has been published in anthologies and won several awards, like the story contest by the magazine Revista Paula (2009), and the essay contest abut migration by Iber Rutas (2015). 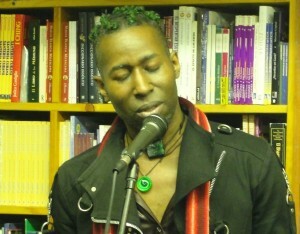 In 2010 he published his first book in English, NYC30H. In 2015 his second book of poems, “La Santa Trinidad 1: El Padre (The Holy Trinity 1:The Father” in Guatemala City. He has made performances in New York City, Guatemala City and Santiago de Chile, whose records are in the Youtube’s channel rod sands or in the Vimeo’s channel rarenas. At the present Arenas is co-editor of Ediciones La Maleta Ilegal and he writes on Macha Fanzine and sitiocero.net.